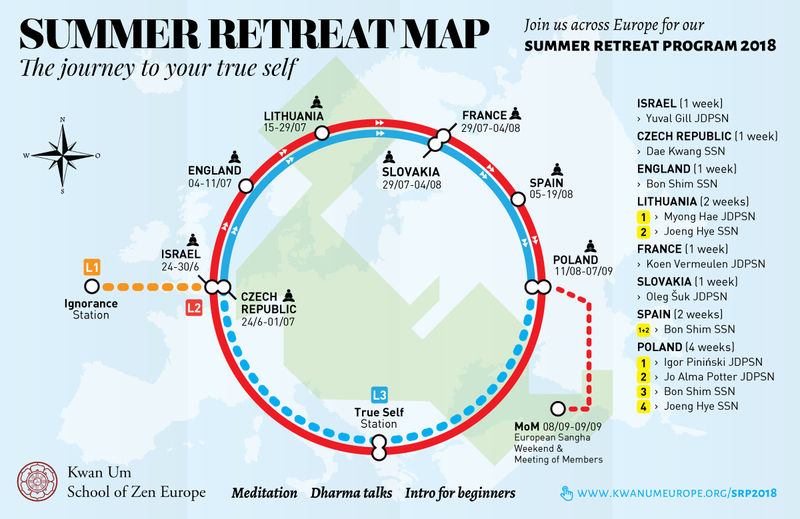 Summer Retreat Map below will show you the correct way on the journey to your True Self. 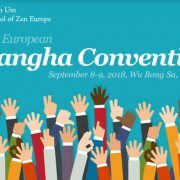 It begins on 24th of June in Israel and the Czech Republic and ends on 7th of September, after a four – week long Kyolche and Sangha Weekend with the Meeting of Members at Wu Bong Sa, Poland. 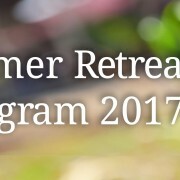 Using compass of zen, all participants can travel without coming and going from one Zen Center to another through eight different European countries. Take one more step and sign up contacting the organizers via email, which you can find in the right column after clicking on each event’s link. Check our Map below and find your Primary Point!